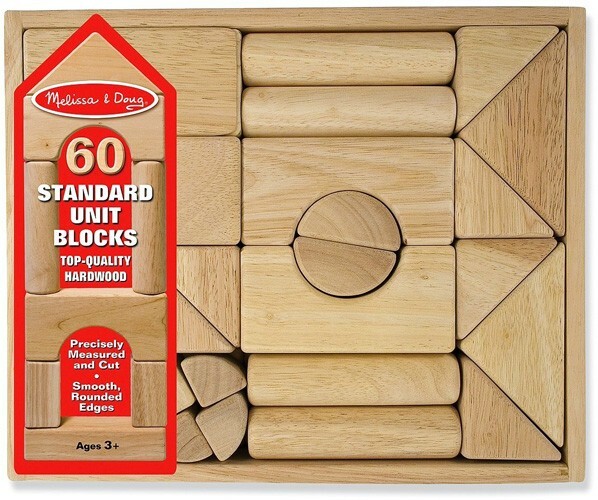 Sixty natural finished, smooth-sanded hardwood blocks are packaged in a handsome, wooden crate for easy storage. Ideal for building and introducing the relation of part to whole. Unit blocks are great for facilitating open ended play and an excellent tool for teaching math concepts, organizational skills, sequential skills, and spatial relations. In these days of electronic toys, it's important not to forget the fundamentals of childhood development. 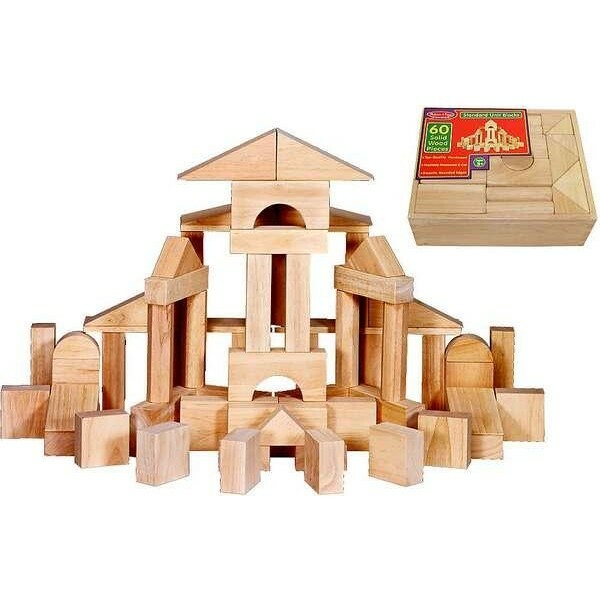 Wooden blocks offer children endless ways to exercise their imagination as they improve their hand-eye coordination and gross motor skills. They also help children establish important relationships between the "part" and the "whole," and the help to provide basic lessons on engineering and gravity. 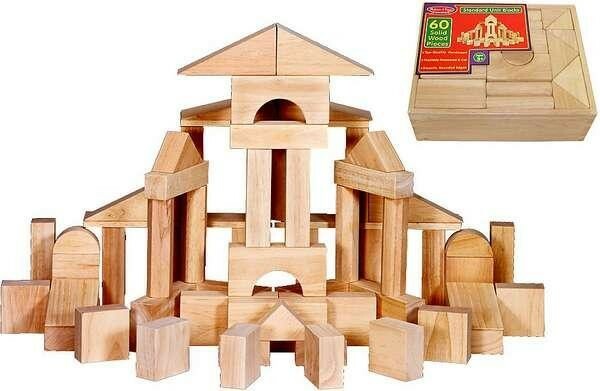 Included in the set are all the classic wooden-block shapes that allow children's imaginations and engineering skills run wild as they build bridges, towers, houses and more. The blocks are packaged in a handsome, durable wooden storage crate that will help you keep the blocks stored in between building sessions, and help you keep them in your family for years to come. Parents should note that when the storage case is filled with all 60 blocks, it will be too heavy for younger children to carry without their help. The crate measures 12.5 x 15 x 5.25 inches (WxLxH).